If you’ve driven past Hyattsville’s University Town Center recently (perhaps on your way to Safeway or the liquor store. 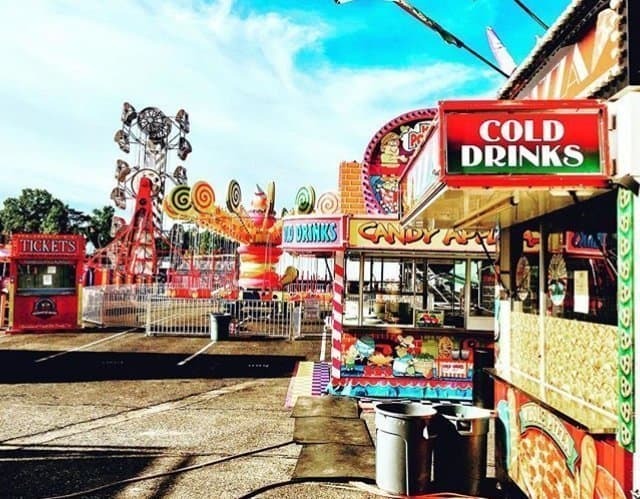 Or likely both, knowing you – and me ;), you may have noticed some roller coaster rides, games and the like setting up in the parking lot facing East-West Highway. That’s right. A carnival’s coming to town! 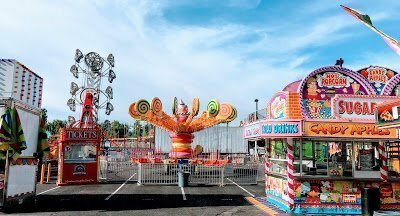 From April 3rd to April 14th, the Jolly Shows Carnival will be at Hyattsville’s University Town Center. 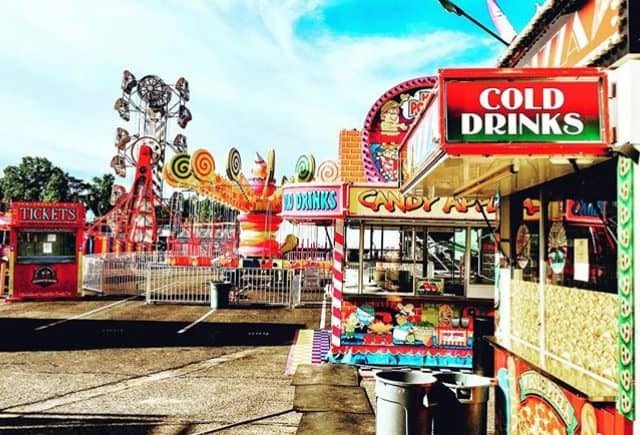 As before, this event will be full of tilt-a-whirls, Viking boats, bumper cars, and funnel cakes. 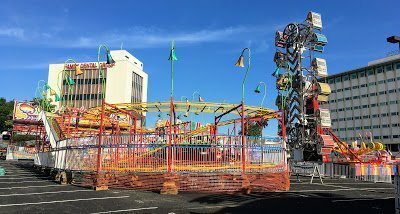 Since many folks have asked about this upcoming event, sharing some pictures from this post about the UTC Carnival and information on what to expect this year. Ride Tickets: Single tickets: $1.75 each;Book of 30 tickets: $40.00; Book of 50 tickets: $60.00.